Rundong Company is a professional manufacturer of oil drilling equipment and drill rig components. In oil drilling, we need a pump to deliver water, mud and other drilling fluids, so the mud pump is an essential part of drilling equipment. Our core products are drilling mud pumps, offer duplex and triplex mud pumps and all mud pump components. We possess advanced expertise in quality mud pump production and our mud pump can be used as replacement parts for brands like Gardner Denver, Wheatley, National, Emsco, Ideco, Oilwell, FMC, OPI, etc. We have developed several series of mud pumps ideal for use on oil drilling rigs and well workover rigs. 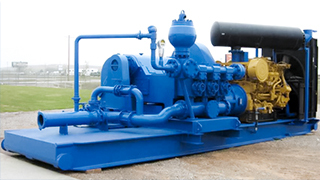 Mud Pump Mud pump is a kind of specialized machinery used for draining mud. During the process of drilling, the mud pump works to transfer washing fluids such as mud or water to the drilling hole. Oil Drilling Rig Components Our drilling hose is mainly applied in oil drilling and mud transport systems. It is suitable for flexible connection between the top of the drilling riser and the drilling swivel which can move vertically. Rundong specializes in the production of drilling equipment and related components and possesses over 20 years’ experience in the industry. 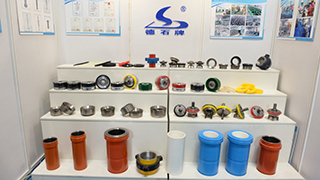 We manufacture all products in strict accordance with the standards of the Chinese petroleum industry as well as the API and ISO9001 quality systems. From raw materials procurement, to the manufacturing process, we keep accurate records of every stage of production, so we keep tight control and are confident in quality production. 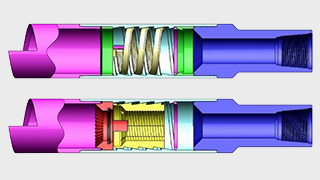 We have equipped our production centers with complete sets of manufacturing equipment and precise testing instruments and have experienced, responsible personnel manning these areas, all to provide high quality drilling mud pumps and drill rig components that make your oil drilling equipment operate at optimal efficiency, over a longer service life.